BitPay is the world's leading payment platform for bitcoin – the blockchain-based digital currency which can be sent and received globally without risk of identity theft or chargebacks. BitPay's bitcoin payment processing and local currency bank settlements are used by over 65,000 merchants on six continents. BitPay's API has been integrated with more than 40 popular e-commerce, billing, donation, and retail solutions, providing businesses with a simple, reliable way to accept bitcoin with zero volatility risk, no additional PCI compliance costs, and minimal processing fees. Individuals and enterprises can use BitPay's open source Copay bitcoin wallet app to create and manage multiple wallets, share funds, and secure their funds with multiple cryptographic signatures. BitPay's payroll API, used by payroll service providers Zuman and Incoin, allows businesses to pay employees wholly or partially in bitcoin. The API also enables secure, fast mass bitcoin payouts for vendors, contractors, affiliates, and other payees within or across borders. The company's open source Bitcore platform provides a development framework and web services for the company's own Bitcoin infrastructure and for other notable Bitcoin-based applications in trading, finance, and asset management. 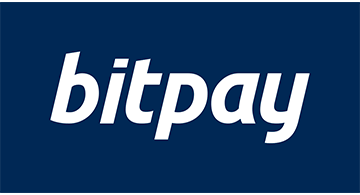 In May of 2015, BitPay also released the BitPay Card, the first Visa® debit card available in all 50 US states with a dollar balance that can be topped up from any bitcoin wallet.